SBIA, the Brazilian Symposium on Artificial Intelligence, is the leading conference for presentation of research and applications in Artificial Intelligence in Brazil. Since 1995, SBIA has accepted only papers written and presented in English, and the corresponding proceedings have been published in the Lecture Notes in Artificial Intelligence series of Springer-Verlag, distributed all over the world. The Symposium will be hosted by FEI in São Bernardo do Campo, São Paulo, and it will be co-allocated with the Brazilian Symposium on Neural Network (SBRN) and Intelligent Robotics Meeting (JRI). 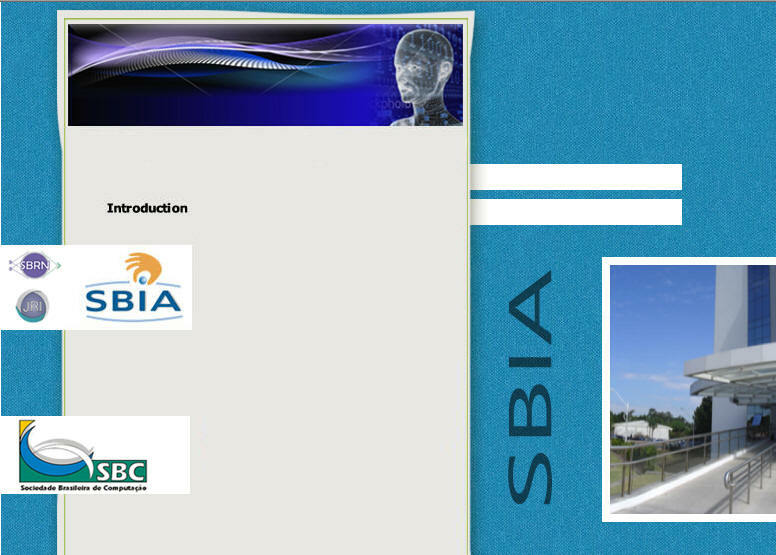 We are looking forward to seeing you at FEI in the celebration of 20th SBIA in 2010!